Appearance: A scranny frail looking girl with yellow eyes that thirst for revenge and destruction. Short blonde hair that looked like the the color of sunshine. Standing about four foot nine she is rather short for her age. Wearing pink sun dresses to make herself look like a child, makes it easier for her to grab humans. A golden necklace around her neck with an angel wing on it; she has one wing while her lover had the other. a wolf pelt turned into a cloak. Abilities: Toxic skin: One touch can cause a vampire or human to feel ill or paralyzed. Speed. Phasing through things: can walk through items as though she were a ghost. Personality: Cruel, rutheless, cunning. She acts like a small lost girl to get her pray, toying with hearts and souls. That is her dark side, her other side is kind and sweet. Wouldn't harm a fly. Angelic is a child looking teen age girl. She doesn't age slow, she just looks young causing some people to think she is a lost little girl. She was born as a demon that loves death, and keeping notes of them in a little black book she carries. She has two sides; her dark side that was made by a tramatic event of watching her entire family be murdered, both of them when she was ten. After twenty years, angelic was taken in by a loving vampire family the Makrin after she lost her memory. Her head was struck by something, and thus woke up in the arms of a loving woman. she got adopted into a weird family. a vampire and a demon couple; who took in Angelic; they had a half breed son named Thor. Who lived the Druid way of life; and was already fully grown when she arrived. Angelic spent her life with this family; till during a trip through the alabama forest was their last trip. Angelic was forced to watch her family be killed by a pack of wolves whom were the tribe of the area. Her adopted brother Oden took her and ran away. Taking care of each other. they moved to Forks, but mainly go to school in Seattle in order to stay safe. She hates wolves with every inch of her body as well as fear them. Appearance: He takes after his father in appearance. Wearing dark clothing and having platinum blonde hair. His vampire half makes girls stare; but its like diamond hard. He is rather healthy and muscular from working out and training. His eyes are golden that makes him almost match his adopted little sister Angelic. Has three scars on his back from the wolf attack on his parents that go straight down his back. Thor wears a pendant around his neck that is the shape of a skull that belonged to his grandfather. As well as carries his parents rings for if one day his little sister or himself get married. He keeps true to the druid ways, living at one with nature. Abilities: Blood manipulation: He can stretch his fingers to cause the subject to be his puppet. doesn't work on full moon nights or when he is really tired. teleportation; he can only go ten miles from where he is with one other person and he must know where it is and what it looks like. Turns into a Raven that was once called the "Thunderbird" by some natives. Personality: thor is a nice man, that tries his best to keep his sister's dark side in tack. Fearing that it will be the death of them. Hating wolves and the fact that the cullens are being friends with them. He is rather fond of Carlisle and Esme's relationship from the time he met them in Italy. Thor loves humans and other races, and dares not tick anyone off. Thor grew up in the land of Norse and also the forest of England with his parents. Born into a druid village; he always found it facinating as he learned about herbal healing, being one with nature, and wished to one day be leader of the village. But the fact he aged so fast and his mother was a demon, it was sort of a problem. His father was a vampire who always showed kindness and never ate humans. the people didn't mind, always welcoming them as long as they didn't eat any humans. Taking the old ways with him, he carries a spirit raven that never dies. Since his mother is a demon, he oddly took an animal form of a Raven that in the states was mistaken as a thunderbird to the natives. when Angelic joined the family, he was a little against adopting a full blooded demon. But she grew on him, and he became the big brother he always wanted to be. He was the only one in his family that could came Angelic's dark side that them nicknamed Remic which is an ancient word for "darkness" he liked his sister in her nice state. She acted like an adorible little girl. One year a pack of wolves from the tribe attacked his family killing his mother and father. He grabbed Angelic, as a wolf went to attack. Thus the scars on his back. He ran teleporting them ten miles away to his truck in town. They left. for fifty years they moved around. thor went between a job as a doctor, a herbal healer, and a professor at schools. Moving after a few years when they couldn't pose as a certain age anymore. But they were attacked by a bad vampire, that wanted to killed Angelic. Thor knew of the cullens and where they normally hung out, he decided it was time to work as a doctor in the hospital there maybe little Angelic and him have a little peace. He was inspired to be a doctor by his meeting with carlisle when he was a little ill from something he ate. thus he started using his druid skills and human medical practice to use. It was a small town, but Angelic would be going to Seattle for schooling. 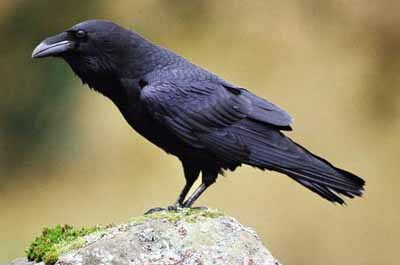 Pet raven (Orian): flies with Thor to watch out for shady people. Thor is the only one that can understand his warning.